In 1942, Kay Summersby's life is changed forever when she is conscripted to drive General Eisenhower on his fact-finding visit to wartime London. Despite Eisenhower's marriage to Mamie, the pair takes an immediate liking to each other and he buys Kay a rare wartime luxury: a box of chocolates. So begins a tumultuous relationship that, against all military regulation, sees Kay traveling with Eisenhower on missions to far-flung places before the final assault on Nazi Germany. The general does dangerously little to conceal his affair with the woman widely known as "Ike's shadow," and in letters Mamie bemoans his new obsession with "Ireland." That does not stop him from using his influence to grant Kay citizenship and rank in the US army, drawing her closer still when he returns to America. When officials discover Eisenhower's plans to divorce from his wife they threaten the fragile but passionate affair, and Kay is forced to take desperate measures to hold onto the man she loves . 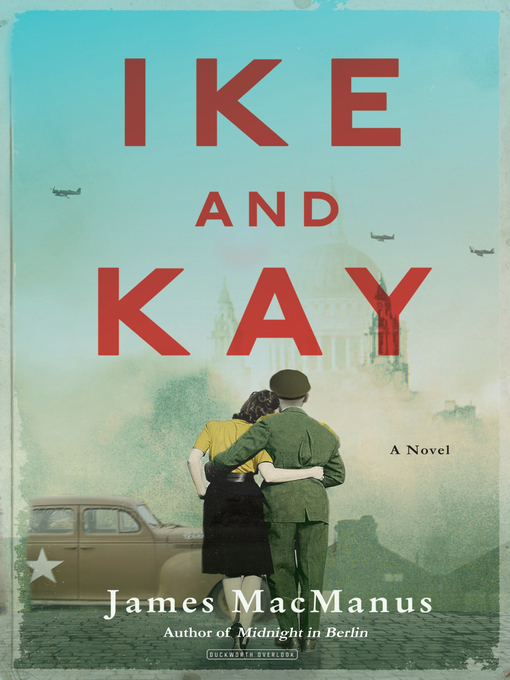 . .
Based on the scandalous true story of General Eisenhower's secret World War II love affair, Ike and Kay is a compelling story of love, duty, sacrifice, and heartbreak, set against the backdrop of the most tumultuous period of the twentieth century.